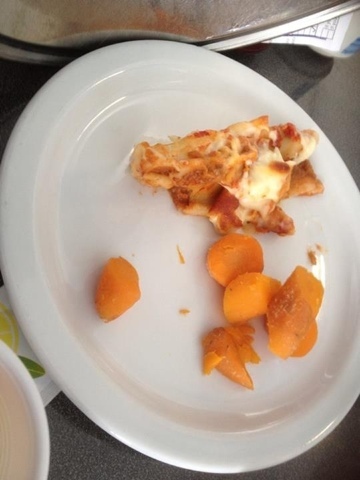 This is the plate of food that a friend of mine was presented with last night at the Royal Surrey County Hospital. She is recovering from major surgery and needs proper nourishment as one of the many things to help her get back to good health. And she is expected to eat this?? I am appalled. Firstly - this is not nutritionally balanced at all and secondly, it's hardly even a child sized portion. It says on their website that they put "patients first" - really? ?